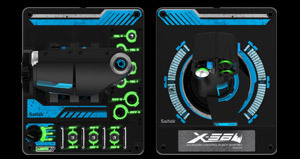 Saitek introduces the new X-56 Rhino H.O.T.A.S. System. Built to the same exacting standards of Saitek's award-winning Pro Flight range, the X-56 Rhino delivers a multitude of customizable options including all the control surface options required to achieve the exact level of performance that aspiring combat pilots demand. The X-56 places controls perfectly under your fingers where subtle distinctions in button feel and shape help you navigate the control set with ease. 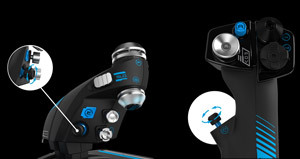 Even the switches on the base of the throttle are staggered or separated so telling them apart from feel alone is possible, leaving you free to concentrate on the immersive VR experience. 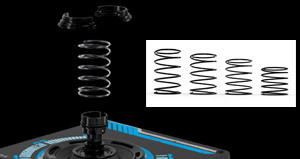 Saitek is the worldwide leader in custom sim hardware. From H.O.T.A.S systems to yokes and instrument panels, we carry it all. Discover every product for aspiring pilots, space explorers, and virtual farmers.